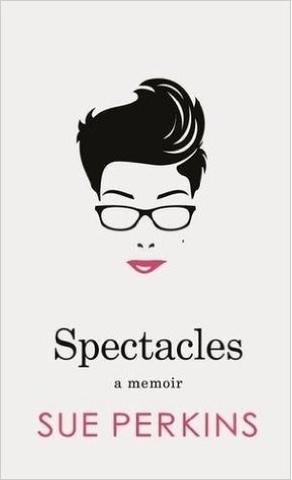 Spectacles is the hilarious, creative and incredibly moving memoir from much loved comedian, writer and presenter Sue Perkins. Review: my Christmas present to myself! I so enjoyed this book, I listened to hours of it whilst just at home, normally my audiobooks are reserved for the car journeys but this one was absolutely gobbled up! I really like the fact that generally when you read an audiobook version of an autobiography it is read by the author and this fact really brought the book to life for me! There's nothing I can really add to this review that will be of any great revelation. I loved this book. Sue Perkins I brutally honest about her life and fills the book with witty anecdotes as well as sharing some really poignant and painful moments with us. I really like the fact that she isn't afraid to make a fool of herself and so she tells us about the moments that went wrong, even if we saw the polished finished product, she lays it all out bare, showing us that is wasn't always like that! I really enjoyed hearing the story of how she came out to her family. I love the fact that she had built it up to be something completely different from what it was in her head and the fact that she had a completely different experience of things when she had to tell her grandmother! I really like the fact that she is completely open about it about her relationships. I would love to hear more from Sue Perkins whether it is fiction or non-fiction, I will definitely be reading it and you should definitely follow suit!